Many people like to know about the company behind the products they buy, so we'll use this page to provide more information about our business philosophy, history, and employees. A brief statement about our objectives and why we run our business the way we do. Our business is dedicated to the production of a high quality product with value added that will improve the lives of our customers. Our main objective is to strive for customer satisfaction. Customers are the backbone of any successful business. We want to do whatever we can to earn your business, confidence and trust. Again, our goal is customer satisfaction and total quality in service, and products. Terra-Jet utility vehicles are unique in its ability to traverse many different types of terrain in remote areas otherwise inaccessible. It has a multitude of uses for industry, sportsmen or the whole family. It allows you to travel without having to bother about the presence of a road, a trail, over fields and woodland, be it winter, summer, spring or fall. Terra-Jet is finding increased acceptance by that segment of the public who enjoys motorized transportation into nature's more rugged areas. 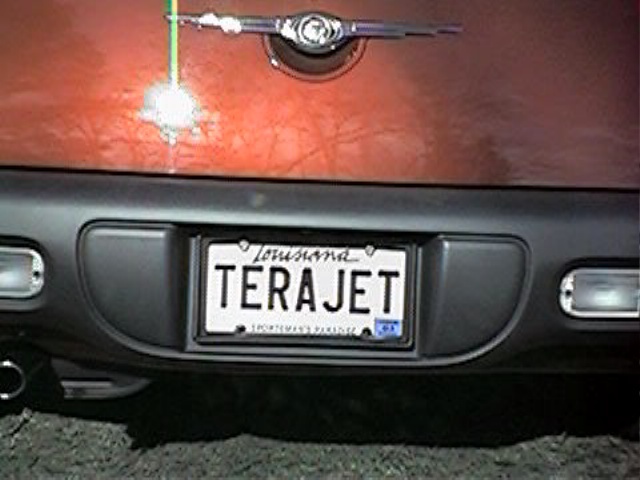 The Terra-Jet was originally manufactured in Drummondville, Quebec, Canada beginning in 1969. In July of 1994, Terra-Jet U.S.A., Division of Rabalais & Son Terra-Jet Enterprise, Inc. of Innis, Louisiana, purchased in acquisition; engineering, inventory and equipment in Quebec with the intentions of manufacturing the Terra-Jet in Louisiana. We are set up to produce Terra-Jet utility vehicles, and TERRA-JET U.S.A. owns all rights to Terra-Jet, i.e. Trade Name, Trade Mark, All Engineering Drawings, Jigs, Dies, and Equipment for production of Terra-Jet vehicles. Rabalais & Son began their business with the Terra-Jet as a dealer for the Canadian company in 1973. A few years later, they were offered a distributorship in the southern states. Business flourished with sales of over 400 vehicles - Larry Rabalais, President and General Manager traveled to Jamaica and Bogota Columbia to represent the Canadian Factory. Larry contributed many suggestions for modifications to the vehicle on his many trips to Quebec and Ontario. The first prototype Louisiana Terra-Jet vehicle to come off the production line was at the end of November 1997. Now the new Terra-Jet 2000 has been mainstreamed into production. The Terra-Jet vehicle has been rated number one for performance, durability, and appearance, and is all anyone could ask for: robust, solid, reliable, practical and strong. To meet our customers needs, Terra-Jet U.S.A. has a modern communications network and ships UPS and Federal Express ground and air, and by motor freight: Consolidated Freightways, Yellow Freight, and by cargo containerized Air and Sea Vessel. These enable us to quickly meet our customer needs. Our facility consists of 40,000 sq. ft. in a one story steel building with 3,000 sq. ft. of area and we are capable of delivering our customers requirements with adequate notice. The size of the current site will be doubled in the near future to accommodate production. Today customers deserve to have satisfaction and total quality in service, product and confidence in the business, said Larry Rabalais. Across the main store wall there is a 30 foot banner on which is inscribed "Quebec-Louisiane". According to Mr. Rabalais, "the banner symbolizes the cultural and commercial ties between the two regions." Terra-Jet U.S.A.'s strategy will include preparation for domestic and foreign sales consisting of kit assembly domestic vehicles, and complete assemblies for export vehicles. Future plans include expansion for plant facilities and to employ additional prospective employees including: Welders, Fitters, Assemblers, Painters, Shipping and Handling clerks, Marketing and Sales, and part-time or full-time clerical as needed. We extend an invitation to you to come and visit us to see our operation, Terra-Jet vehicles, and facility. We are physically located at junction of highways 417 & 419 Batchelor - Innis, area. Talk to us at 225-492-2249, Fax: 225-492-2226.
or see our product at: URL: http://Terra-Jet.com on the World Wide Web. Also we are listed with the Louisiana U.S. International Export Assistance Center New Orleans, Louisiana World Trade Center's World Wide Web. and also recognized by the Louisiana Department of Economic Development as a viable new Louisiana business. A message from President and CEO of Terra-Jet U.S.A. Thank you for your interest in our product, the Terra-Jet - it is the best utility vehicle ever made for use off road! 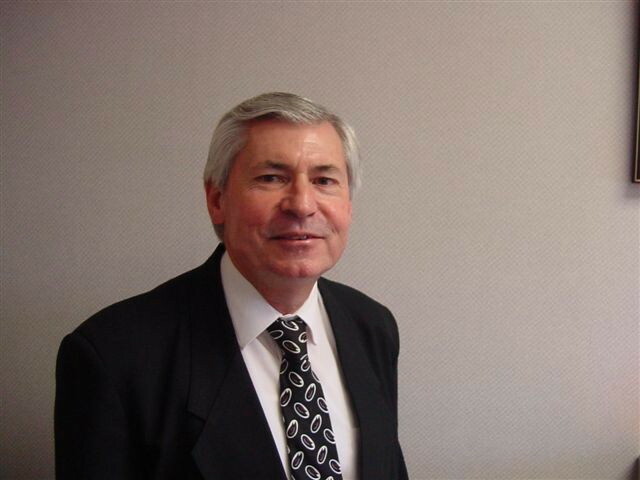 From the desk of LARRY RABALAIS: President and CEO of Rabalais & Son Terra-Jet Enterprise, Inc. After 40 years of selling Terra-Jet Products, I see more and more utility for this versatile vehicle. My technical background, military experience and the fact that our family has always gone outdoors for recreation all four seasons in a four wheel drive as long as I can remember prompts me to say today our 4 wheel drive trucks transport the Terra-Jet to duck club, and or other remote areas and we enter the enjoyable world of Terra-Jet. There is no other product on the market that can deliver what a Terra-Jet does for the price! We think that Terra-Jet is the finest utility vehicle on the market, don't you? Our staff will be more than happy to serve you in a prompt, courteous manner. WE LOOK FORWARD TO HEARING FROM YOU. We are serious about our work at Terra-Jet U.S.A.
Shawn Oubre brings to Terra-Jet U.S.A. sales knowledge and great personality. Let Shawn help you with all of your needs. He is a true professional and has always gone above and beyond the call of duty. His work this quarter has been invaluable. Thank you Shawn.